UCI’s 2015 Race team at the Winter Design Review. Please join us at the Energy Invitational and compete against Zeta our electric racecar (on left). Savage (on right) is scheduled to compete at FSAE Lincoln in Nebraska. 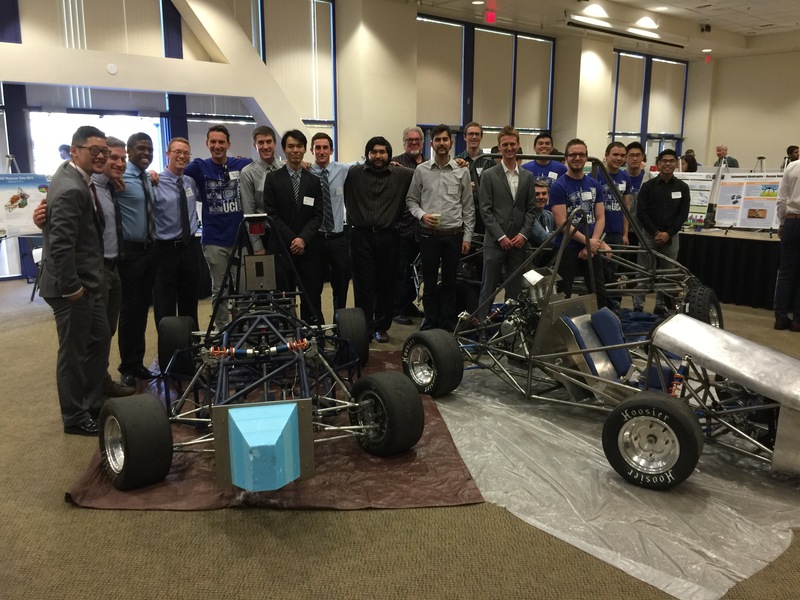 This entry was posted in Event planning, Racecar Engineering by Prof. McCarthy. Bookmark the permalink.